Condition: pencil signed, superb impression, delicately wiped to achieve slight variations of plate tone, in near faultless condition. 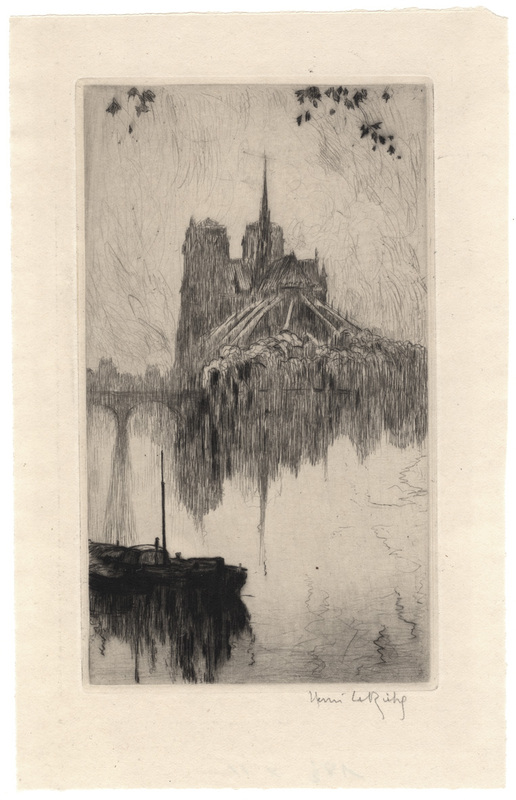 I am selling this poetic etching of the famous Notre Dame Cathedral by Le Riche for AU$98 (currently US$72.49/EUR65.91/GBP55.04 at the time of posting this print) including postage and handling to anywhere in the world. If you are interested in purchasing this very romantic view of the Notre Dame by a prominent sculptor, painter and printmaker at the dawn of the twentieth century—in the sense that he was a full member of the Societe Nationale des Beaux-Arts and, in 1922, he was awarded both a Gold Medal and the Chevalier de la Legion d'honneur from the French government— please contact me (oz_jim@printsandprinciples.com) and I will send you a PayPal invoice to make the payment easy. 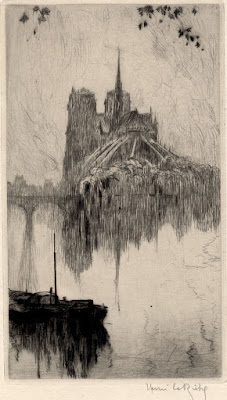 Le Riche studied under Bourguereau and Robert-Fleury but the simple visual poetry of this view across the Seine to the Notre Dame in the distance is far from the style of his teachers. This is an unpretentious image but one that has been executed with subtlety and knowledge. 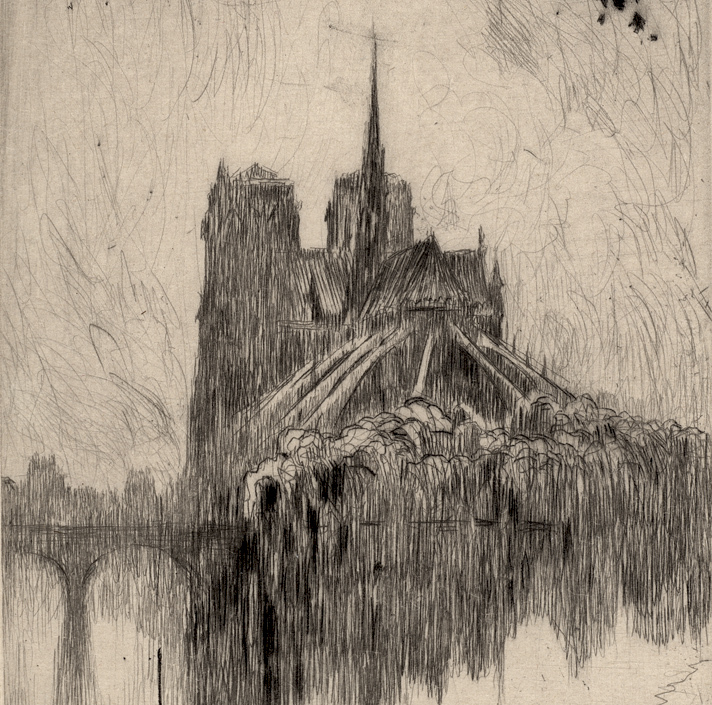 It presents the artist’s very personal response to seeing the cathedral with all its familiar attributes of flying buttresses, dual towers and sky-piercing spire, clouded in mist on a grey day in Paris. 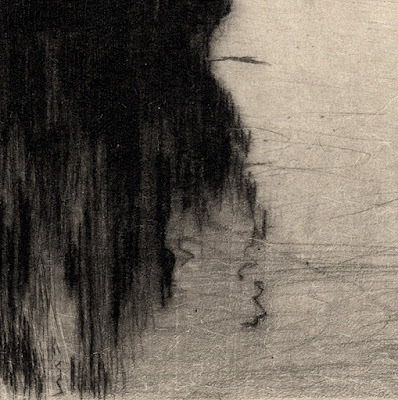 What I love about this print is the artist’s use of contrast. For instance, note how the dark tones of the moored boat in the foreground, along with the dark leaves dangling from above, create pictorial depth by their contrast with the much lighter tones of the distant cathedral and sky. In one sense the leap between the two tonal extremes of dark foreground and light background expresses space. 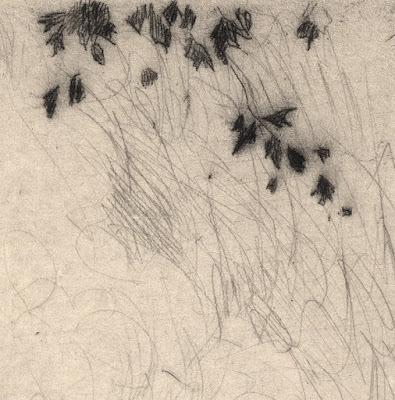 In a very different reading, however, the suggestion of space is modified by the vertical orientation of the marks. 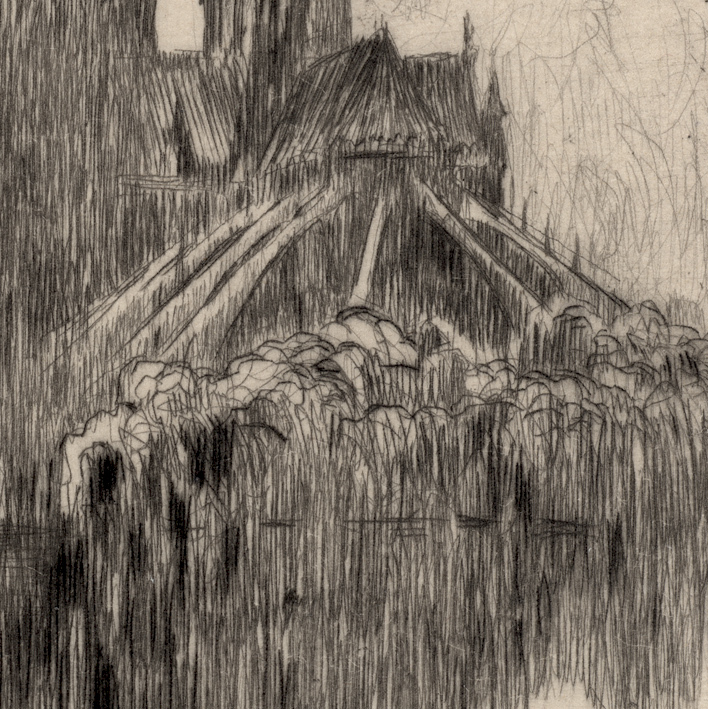 To my eyes, the constraint posed by the use of vertical lines lends the print a spiritually transcendent quality. Or to express this differently, instead of a viewer reading INTO the image the viewer reads UP the image to heaven above: a contrast between the temporal world and the spiritual world.